Need a new electricity or gas connection? Report a street lighting failure! SolarClick: 15,000 m2 more solar panels in Brussels in 2018! 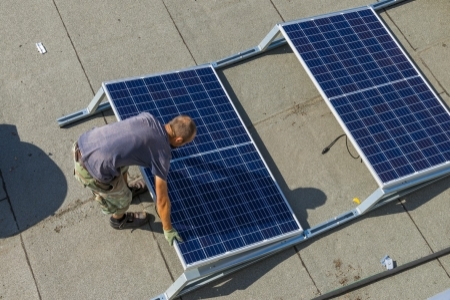 The roofs of 34 public buildings were fitted with solar panels in 2018 as part of SolarClick, a regional programme. With Energuide, Sibelga offers an answer to all your energy questions. Energuide is a website, a magazine and a newsletter. From 1st December, the calculation of green electricity production will be done by Sibelga and no longer by Brugel. Like you, Sibelga makes Brussels live. Whether you're at home, with friends or at work, Sibelga brings you the energy you need every moment of the day. Sibelga, energizing the city!